Our new and Pre-Owned BMW dealership is committed to ensuring all drivers in the Newark, New Jersey area are able to acquire the quality pre-owned vehicle they deserve no matter what their credit report holds. That's why we offer professional bad credit financing! Taking advantage of sub-prime auto loans is a great way to establish a positive payment history while rebuilding your credit score over time, so don't hesitate to reach out to BMW of Bloomfield's finance department to learn more about the options available. Here at BMW of Bloomfield, we believe the auto loan process should be a stress-free one; that's why we've made it easy to express interest in bad credit car loans. Newark drivers can visit our new and Pre-Owned dealership in Bloomfield, New Jersey for one-on-one assistance any time during our extensive business hours. Our professionals are well-versed in the loan application process and since we work with a number of loan lenders in the area, we're able to explore a range of bad credit financing possibilities. Clifton and Montclair, NJ drivers can also apply for sub-prime auto loans from the privacy of their home, thanks to our secure BMW of Bloomfield credit application. Use the most up-to-date information you have access to as you work through our form, as the material you submit is what we will use when we reach out to our lenders to start negotiations. If questions arise as you complete your no-obligation credit application, don't hesitate to get in touch with our team for clarification! Why Team Up With BMW of Bloomfield for Bad Credit Car Loans? 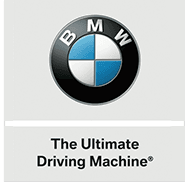 So don't let past bankruptcy filings, divorces, foreclosures or repossessions dictate your purchases anymore, contact BMW of Bloomfield for comprehensive bad credit financing assistance today.